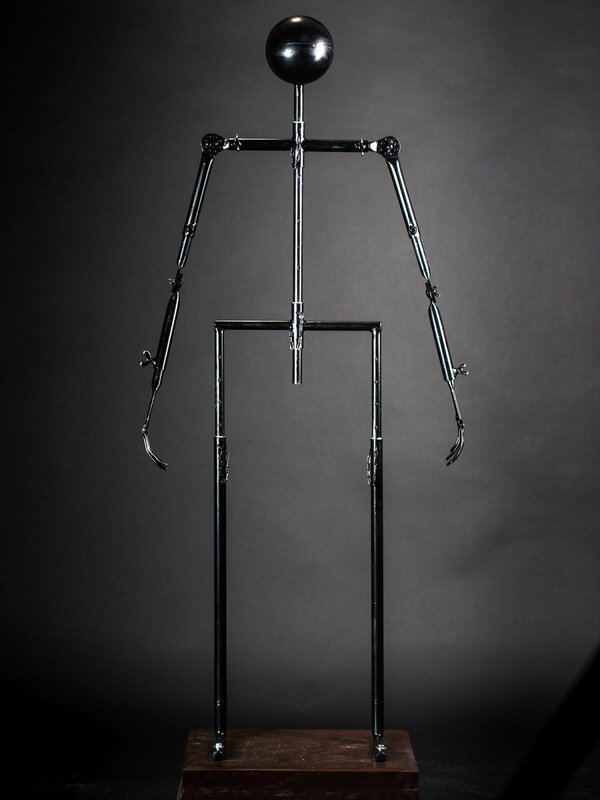 Full Body Armor Steel Mannequin, painting in any color at your choice and has reliable fastenings. That is your possibility to build from the simple mannequin stand cool knight at any clothing and armor. That’s really easy to do it, just use manual. And now step-by-step lets dress your Terminator! 1. 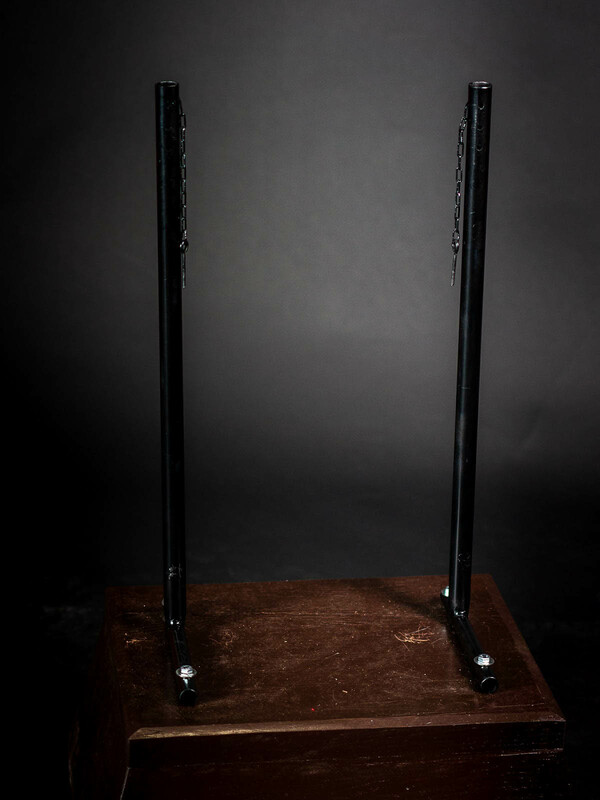 Fix mannequin legs to pedestal (PEDESTAL IS NOT INCLUDED IN THE PRICE) with the four longest bolts so he cannot run away. Just put bolts through the holes in legs and fix them inside the pedestal with washer and wing nut. 2. Put the pants on. 3. Put hips on legs and fix them with pins (they chained to the legs, so you will not lose them). We marked a suitable level of docking. 4. Now the body. First of all dress Mannequin body in doublet, gambeson, aketon, chainmail or whatever he wears under armor. Just unscrew his hands, put under armor on and fasten his hands back. 5. Ok, now you can put on and fix his body on hips with a pin (it chained to the hips). Suitable level of docking we marked for you again. 6. Lace up a cut with loops on the back part of pants from the bottom upwards with leather cord. Then attach pants to the chainmail behind. 7. On a pants front part you can see the same loops. 8. 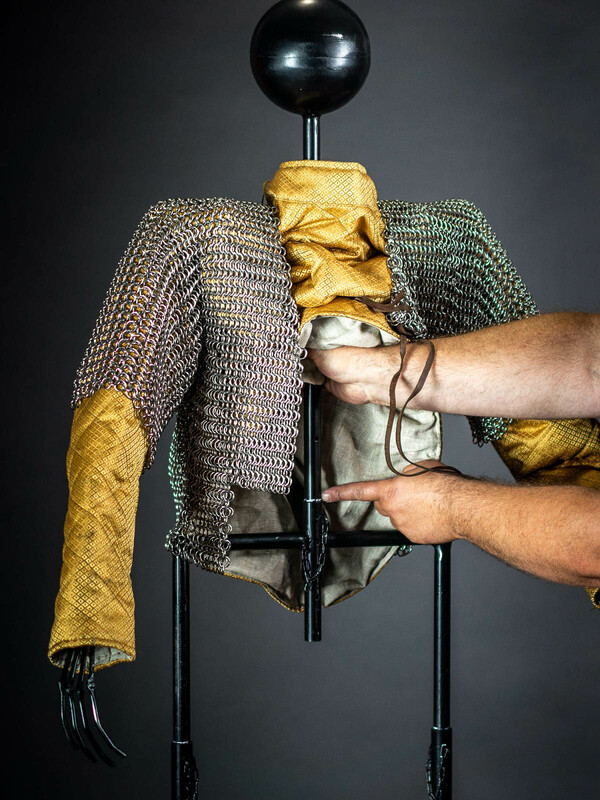 Don't forget about lacing up the left and right parts of chainmail. There are four leather laces inserted in the rings for it. 9. Now T-800 is ready for dressing in armor. 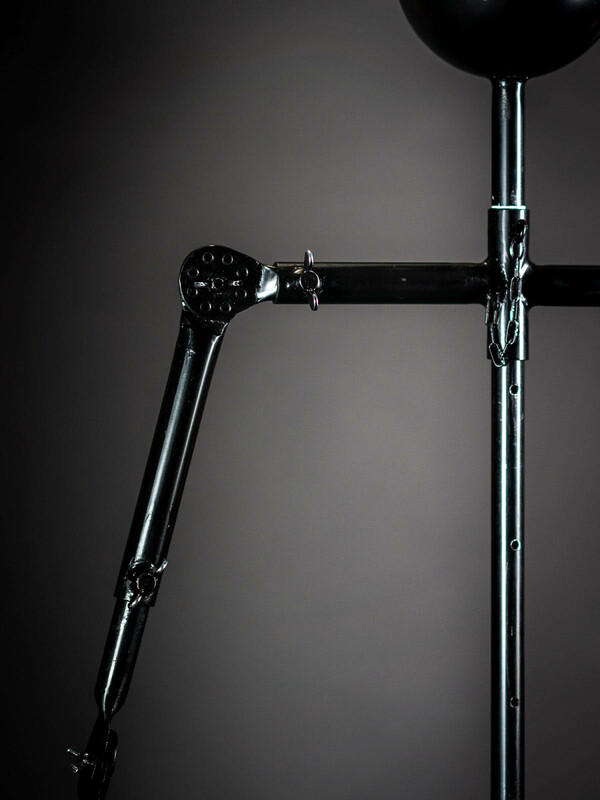 Start with the sabatons and plate legs, just put them on and fasten. 10. Tie up plate legs to the chainmail by leather laces. There is leather pieces with eyelets in the upper part of leg for it. 11. Cuirass time! Firstly clasp shoulder belts and then fix cuirass with side belts. Pay attention that if cuirass worn properly, its back part overlaps the front one. 12. Fix the spaulders to cuirass just as you did it with the plate legs - tie them up by leather laces. There is leather pieces with eyelets at spaulders for it. Then fix the lower parts of spaulders over them by fasten belts. 14. Fix the bracers by fastening belts too. 15. Set the helmet on Terminator's head. It will be easier if you firstly open the helmets visor at maximum with fix button and close it after putting on. 16. To put on gloves set Terminator's fingers in straight position. Then bend his fingers as you need and put a halberd or whatever else into them. That is all. You got your own personal Terminator in plate armor. 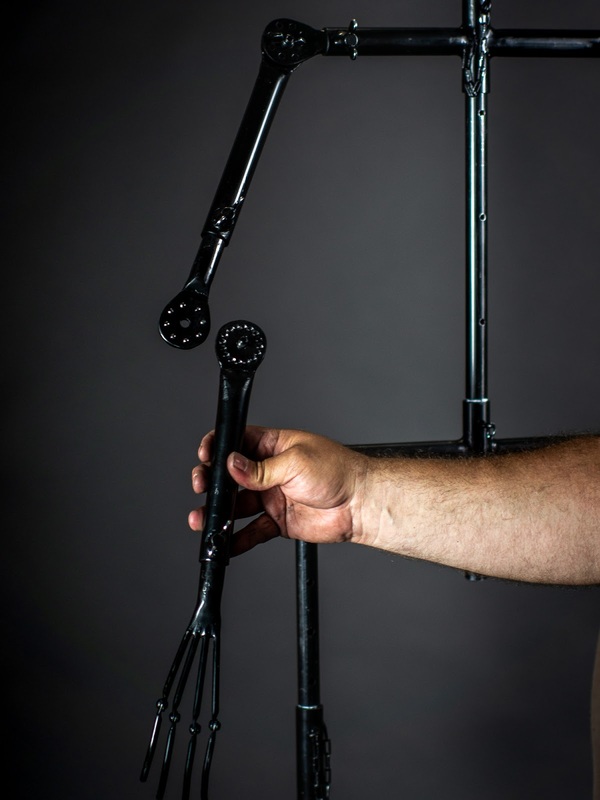 - All movable hinge joints fixing with wing bolts. - All body parts fixing at each other with pins chained to them. - Tuck gambeson in pants. 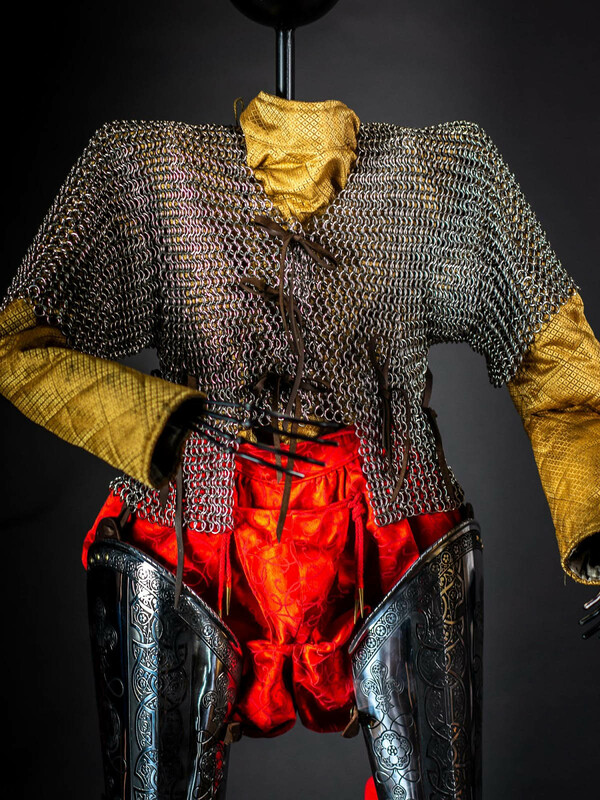 - Never forget about the short chainmail, it is the most important part, to which we attach all the clothing and plates. No short chainmail - no cool looking. Leather bracers with diamond pattern One day, the best leatherworker had an occasion to take part in royal hunt. There is a long story, but believe us, it happened – leatherworker was in royal hunt. And thus, our artisan saw leather armor bracers on the arms of king. They were so beautiful in its simplicity that he, delighted with a look, rushed to the mastery to make the same for you. 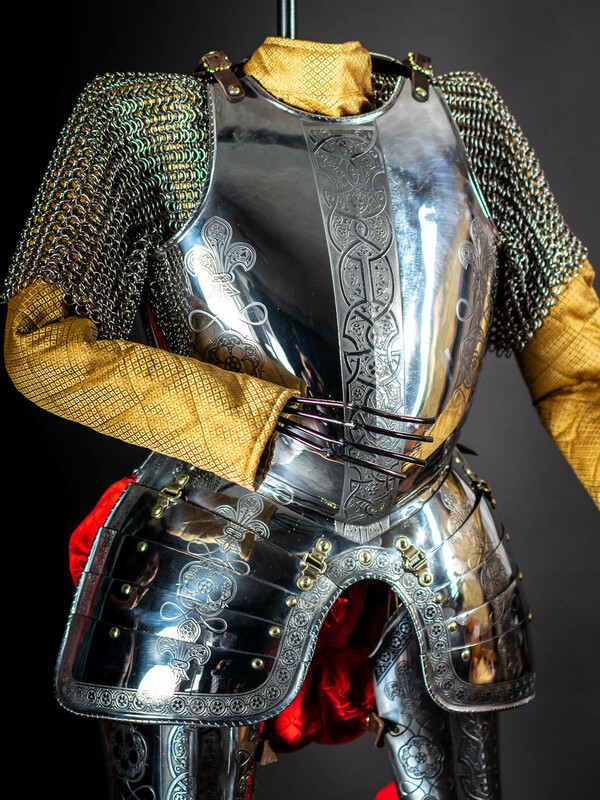 Because, who will refuse royal real royal leather armor? There is the best leather, covered with narrow crossed leather straps, which create awesome diamond-shape ornament. Straps are riveted with simple rivets; bracers are fastened with strong buckles. 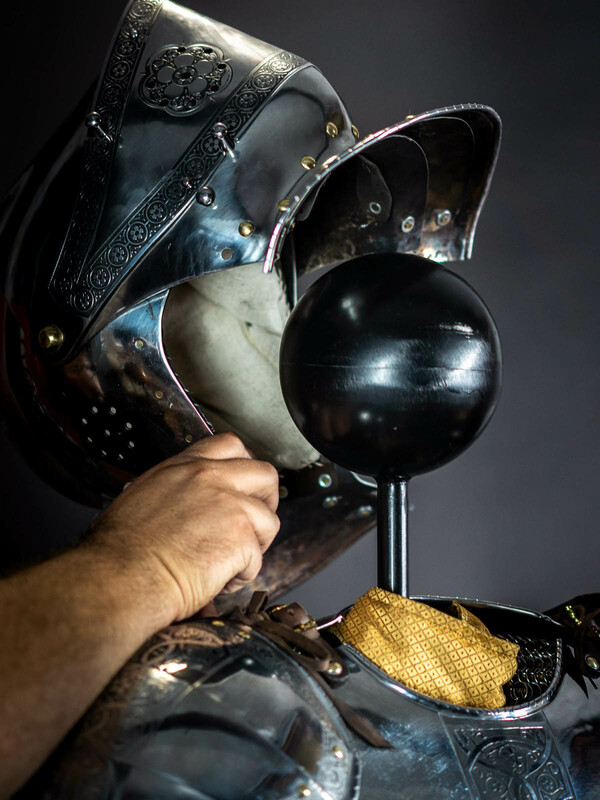 If bright colors and golden fittings are in your plans for medieval leather armor, so we are at your service – your bracer will be as you wish! ..